By tomorrow, Dragon Age: Origins will finally be out across the globe (apart from the PS3 version across Europe), at retailers and on Steam. But let’s face it, there’s always room for more BioWare RPG goodness. 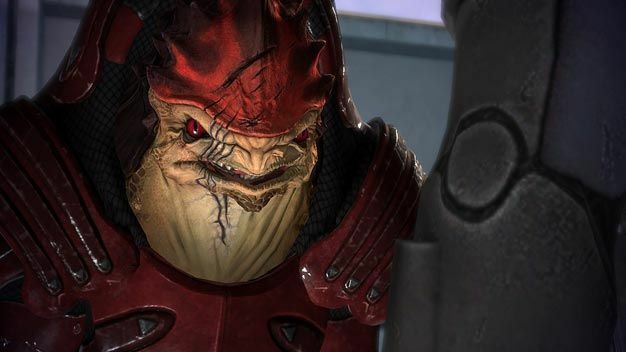 To that end, Valve has sent word that the first Mass Effect is 50% off on Steam this weekend. You might not have the time to play it right now, what with all the dragon slaying and spell casting you’re sure to be doing, but still, it can’t hurt to save big on one of 2007’s most critically acclaimed games. And if you can beat it before Mass Effect 2‘s launch on January 26th next year, then everyone’s a winner.